We guide you to our store with our easy to see and read entrance sign located on US-12. Our helpful and friendly staff is happy to greet you as you enter our store. 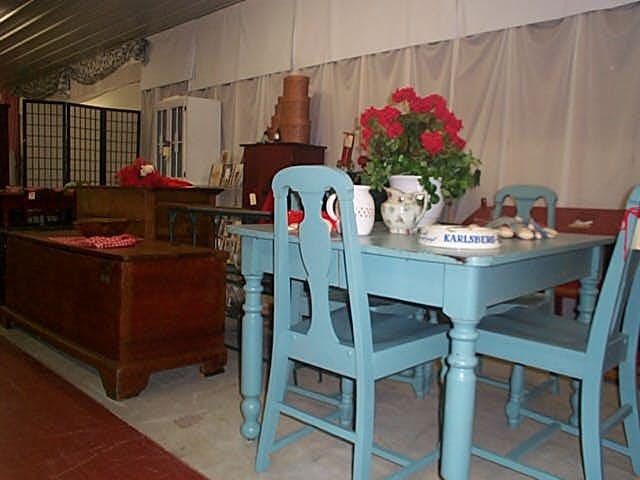 We have nice wide aisles and areas designated with showcases, for your shopping delight. Furniture, Furniture, and more Furniture. 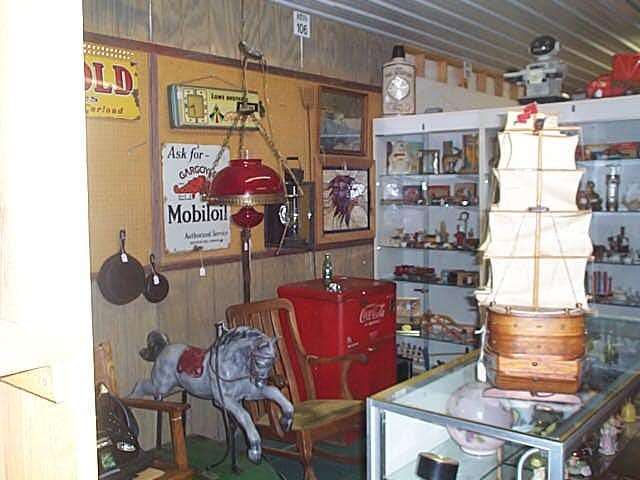 We have the areas largest selection of antique furnishings, along with a great selection of antiques and collectibles from marbles to McCoy. We have long spacious aisles and are a full access facility. PS-Don't forget to go upstairs. That's Right, two floors! We have both stairs and an elevator for your convenience. We offer a relaxing setting for those tired feet. We have a picnic area and have plenty of parking for both bus and camper. Full-service restaurants are a short distance from our location.